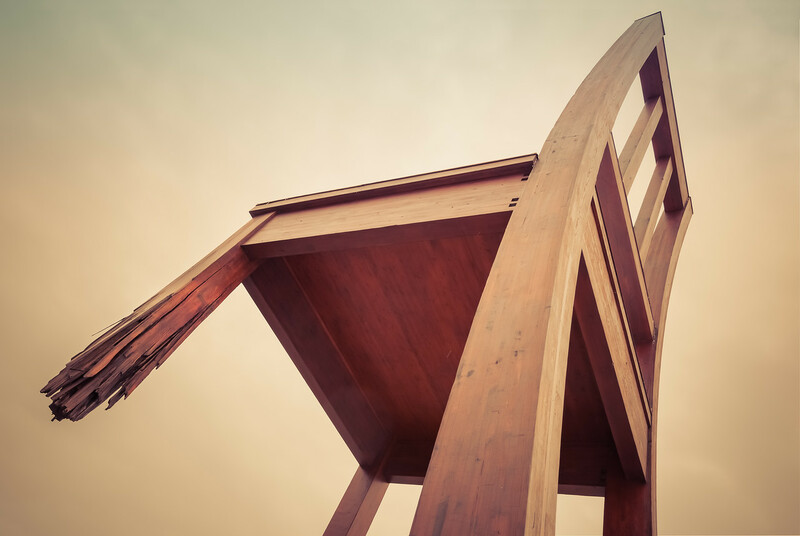 The sculpture sits in front of the Place des Nations (United Nations) in Geneva, Switzerland. It was one of my favorite pieces of art I saw on this trip. It is a dozen meters tall (39 feet) and is quite a sobering welcome to the U.N. It serves as a reminder to all the diplomats and politicians who visit United Nations headquarters of the atrocities of landmines and cluster bombs, not only to soldiers but to the common people, who will stay around far after the conflict is won, lost or abandoned. It was freezing cold and the snow had begun to fall again. I guess you don’t have much to complain about when you go to Geneva Switzerland in January. It was my last night and my last opportunity on this trip to get a photo of Bâtiment des Forces Motrices … I had to go, despite the weather. 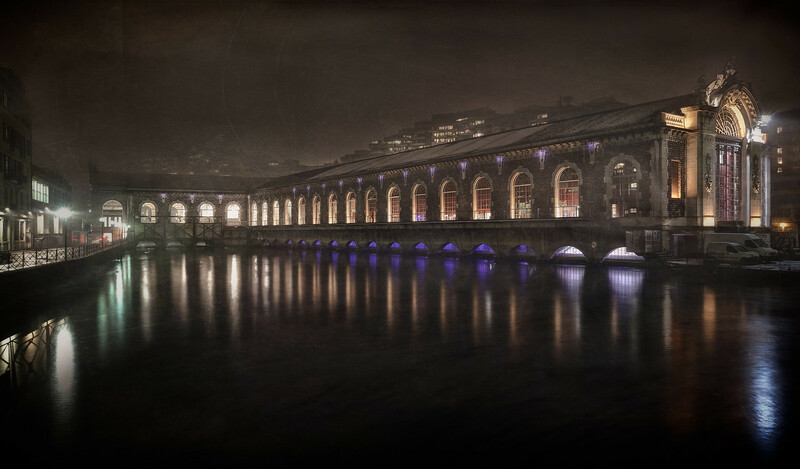 The former hydroelectric power plant on Le Rhone caught my attention when I first arrived. It has a stately sort of appearance, one from those bygone eras I love so. It’s now a concert venue and this very night while I was pelted with sleet and show, shivering outside, The Chamber Orchestra of Geneva played Mozart to warm music lovers. Outside I struggled to keep the water off my lens and a bevy of drunken Swiss youth loitered all to close for my liking given how dark it was on the bridge where I took this photo. I feared what I captured this night was unusable and it took me almost two years to revisit what I had done that night in January 2013, but like I learn again and again with travel…leave your expectations behind and embrace what comes. I have long loved Brassai. A Hungarian photographer who came to prominence in Paris between World War I and II. He has taken some of my favorite photos of the City of Light by night. 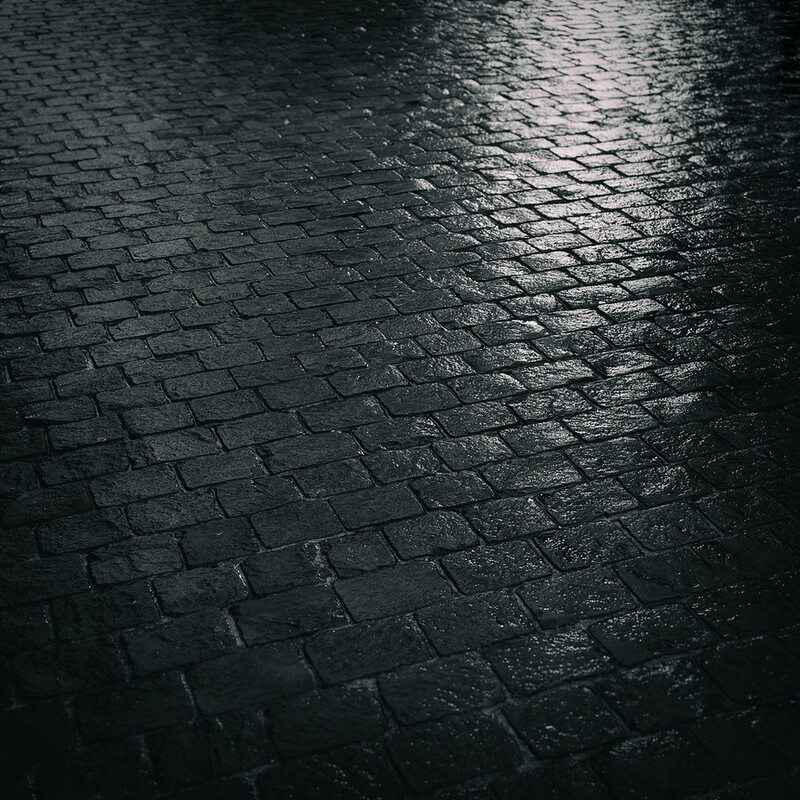 Interestingly some of my favorite photographs are of the wet streets of Paris. These are simple, but there is a sensual and mysterious love they seem to express to me. 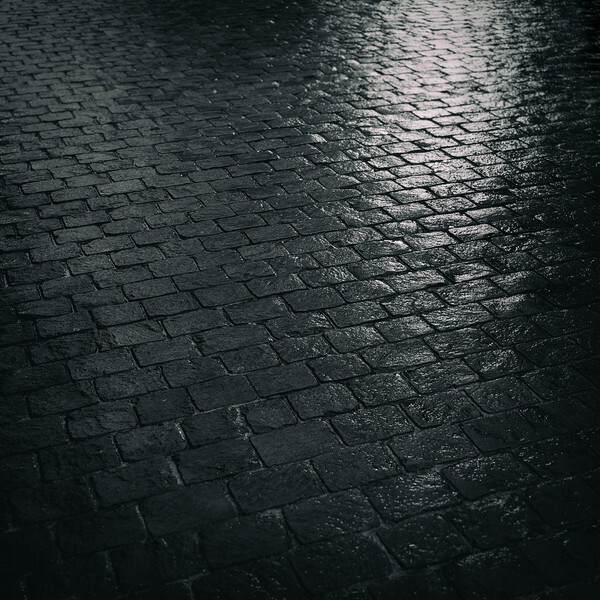 I can’t ever seem to get away from the depth contained in ancient wet cobblestone streets. They have been around for thousands of years and will be for thousands more if God willing, Europe doesn’t adopt the American love of asphalt and concrete; such impermanent material. The history of these old cities has slowly been chiseled into their face. They reflect it in the mist, if you just look. I have said it before, but I have a tendency to forget details. I come home with a lot of shots of big buildings, but I often reminisce about things that stand out to me during a trip, only to realize I didn’t photograph them at all. Perhaps I am too caught up in the moment or the spectacle. Going forward I will be actively trying to remember to photograph things, even when these are people who do not want to be photographed. They should be remembered if only by me. I found this rose in the middle of winter by Cathédrale Saint-Pierre. It was lost in the snow, a forgotten mishap…something that broke, or wasn’t supposed to be, but it was there for me to see. I still recall finding it, one of those little unexpected joys to brighten your day. 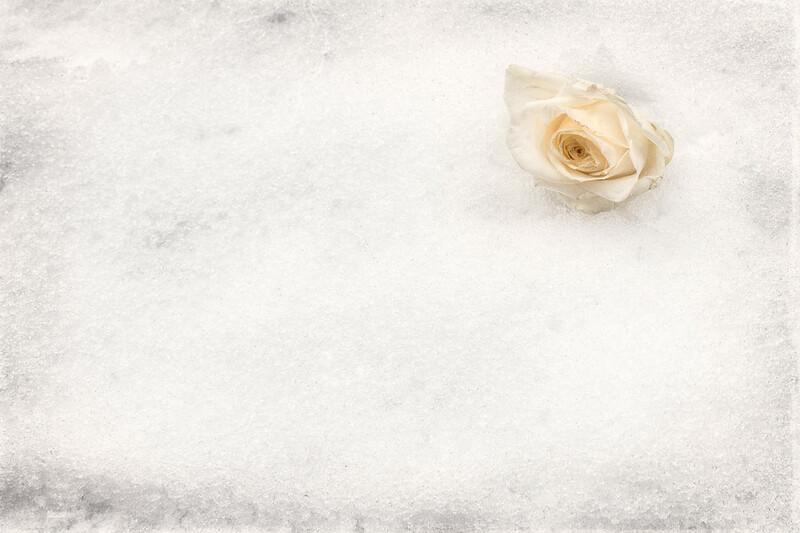 A beautiful frozen rose in the dead of winter in Switzerland. Perfection! 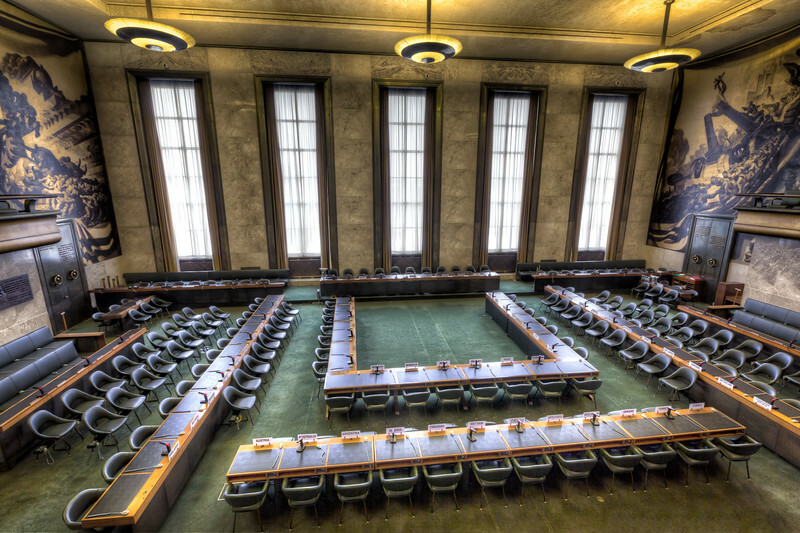 This meeting room artwork at the League of Nations in Geneva, Switzerland is almost intuitively familiar to me. I have seen this artists work before in New York at Rockefeller Center. Jose Maria Sert was a Catalan muralist working during one of my favorite times in architecture created some amazing art in some of the greatest cities in the world. When I think to the early 20th century the Woody Allen film Midnight in Paris often comes to mind. I often think that if I could go back, Owen Wilson and I would have chose the same time period. I also remind myself the only real time is now and it will only be that which we make of it. 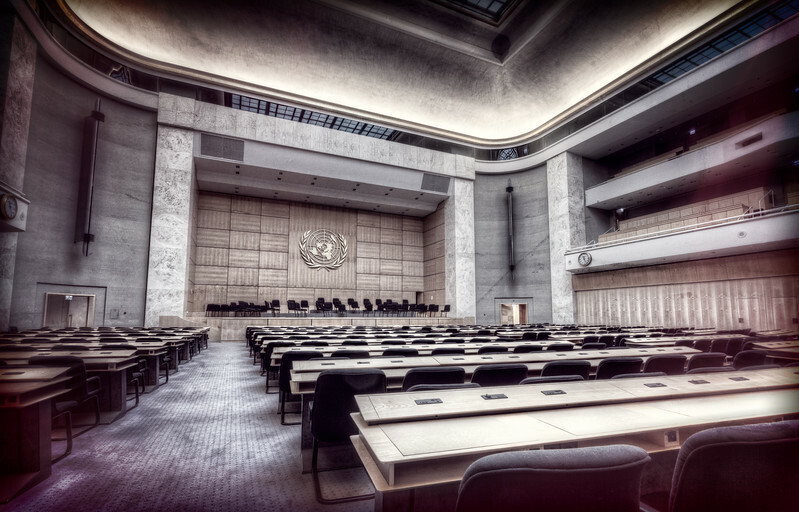 While I was in Geneva, Switzerland I visited the Palais des Nations. This is one of those amazing buildings history buffs will LOVE as it was originally built in the late 1920’s to house the League of Nations. It has been added onto multiple times as you can tell this portion is from a more modern addition. The site is a fantastic time to tour, especially the old art deco portions of the complex. This is one of the general assembly rooms where nations meet to discuss world matters. Happy Independence Day to everyone in the United States! 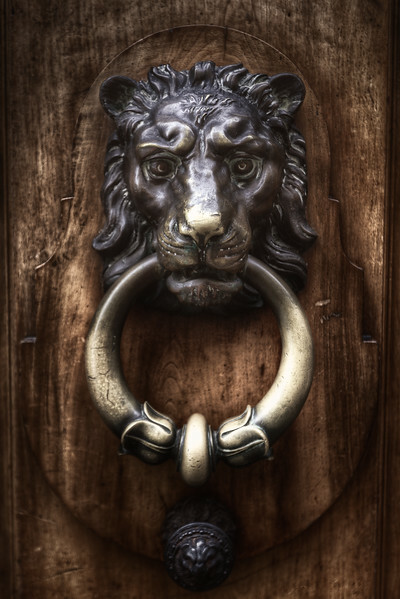 A quick post for today…As I said in a perviously, there were some great knockers in Geneva, Switzerland! This old lion was the first of the crazy big brass knockers I spotted on the doors of Old Town. Wandering around I was constantly staring at doors of peoples apartments and businesses and stopping to take photos. A quick photo for today…all over Geneva, I encountered incredible doors. 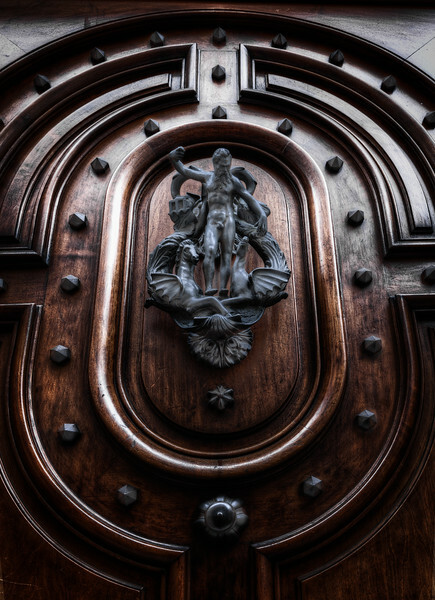 I have been to several cities around Europe and to many old parts of these cities, but I don’t recall seeing as many wonderful, ornate and LARGE knockers on doors as I saw during my time in Geneva. I have several of these shots, but I really like this knocker of Poseidon (I believe it’s Poseidon) on this dark wood with metal studs. Enjoy! The Swiss are efficient. 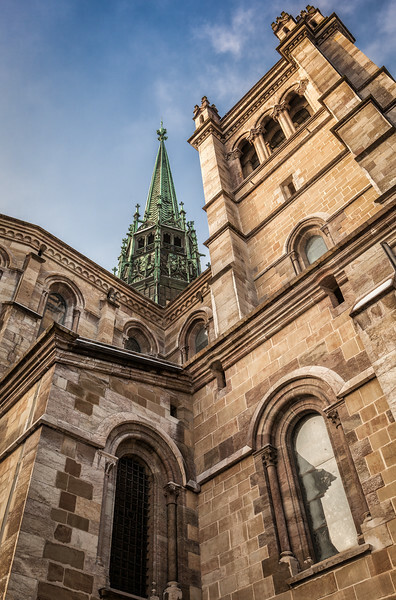 They did not appear to enjoy repeating themselves for me, but my French is not the best and sometimes the latitude I was given in Geneva surprised me. 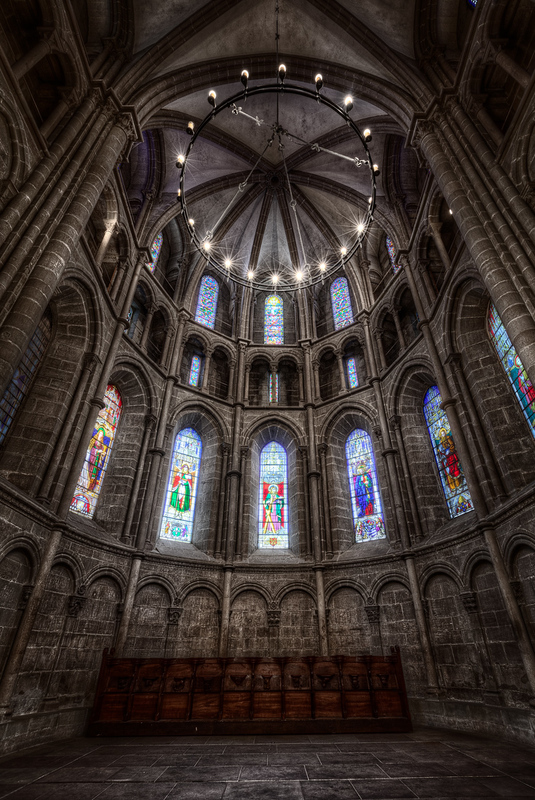 I asked the docent of Saint Pierre Cathedral if I could take photos. He said yes. I asked if I could take photos with my tripod…he gave an irritated yes. Not because, I think, he was annoyed at my tripod, but rather because I didn’t take his first yes at face value. I love old churches and Geneva was build around this church. The entire history of the city can be traced in the foundation of this building. It is simple, but it was also the home of John Calvin for a good deal of time. I decided on doing a little something different with the processing. I generally do not like selective color, but I think in this way, it works. Something magic happened to me in Geneva, that I can’t really explain. I hesitate to share it. What I can say it that the bells of Saint Pierre Cathedral touched my soul. For an instant I felt deeper than I thought possible. It startled me so, I lost it. I will continue my search. I am only sorry I can’t share, or explain the moment better.